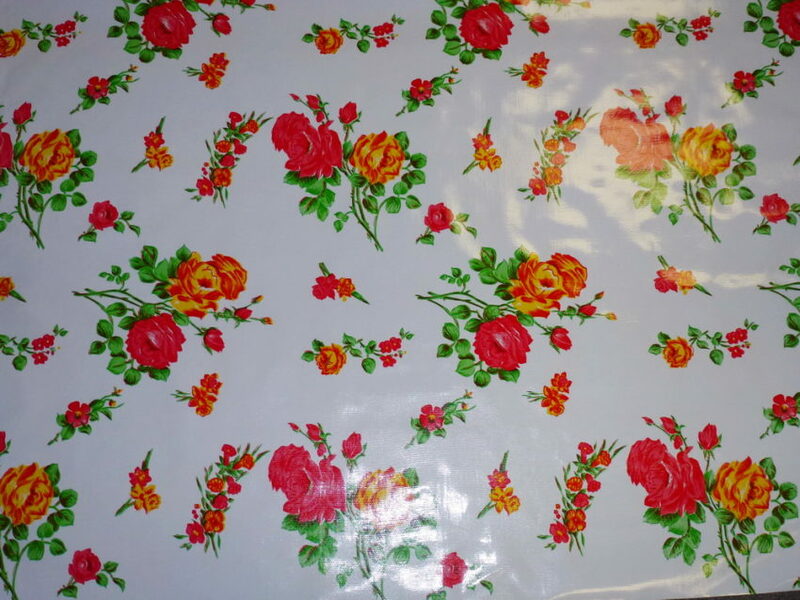 Today’s oilcloth is a vinyl that is bonded and supported with a woven cotton mesh. The surface can be wiped clean. Oilcloth is waterproof and stain resistant. Fading may occur under direct sunlight for extended periods of time since the oilcloth does not contain a UV inhibitor. You can wipe oilcloth clean using a warm, soapy sponge then dry it off with a soft cloth. Machine washing is not suggested. Store folded or rolled. 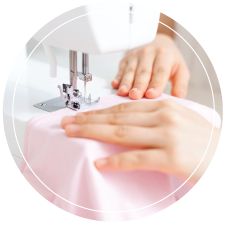 Any creases from folding will smooth out over time– faster in a warm environment. Not recommended for bibs or toys for children under age 12 due to the level of phthalates (a softener present in all vinyl) in the PVC coating. Made in Mexico.